This is my 100'th blog post! Cheers to you all! I wanted to pop open something special to mark the occasion and chose the Ty Caton TyTanium. This is one of the best nontraditional New World blends I've had the privilege to drink. It's down right yummy. 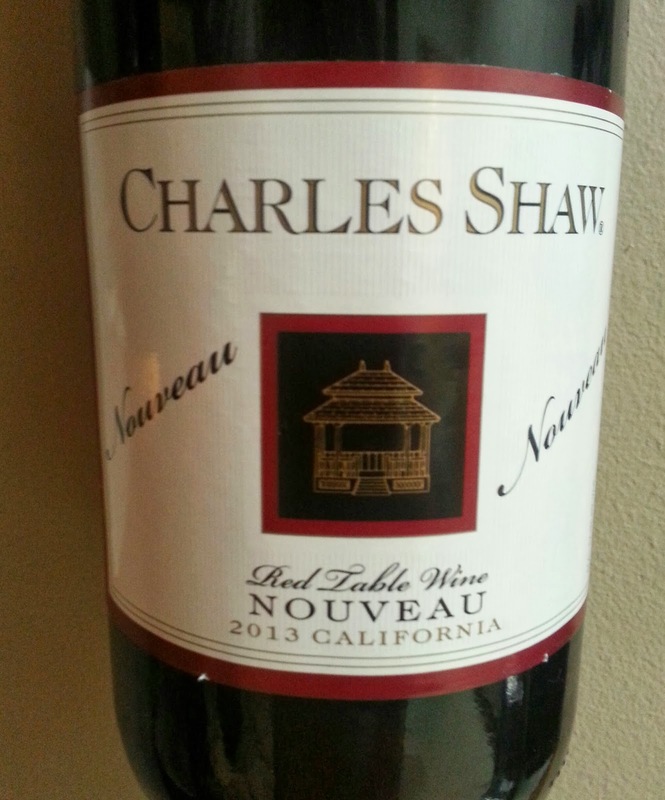 Review: This wine is a rich,dark ruby color. 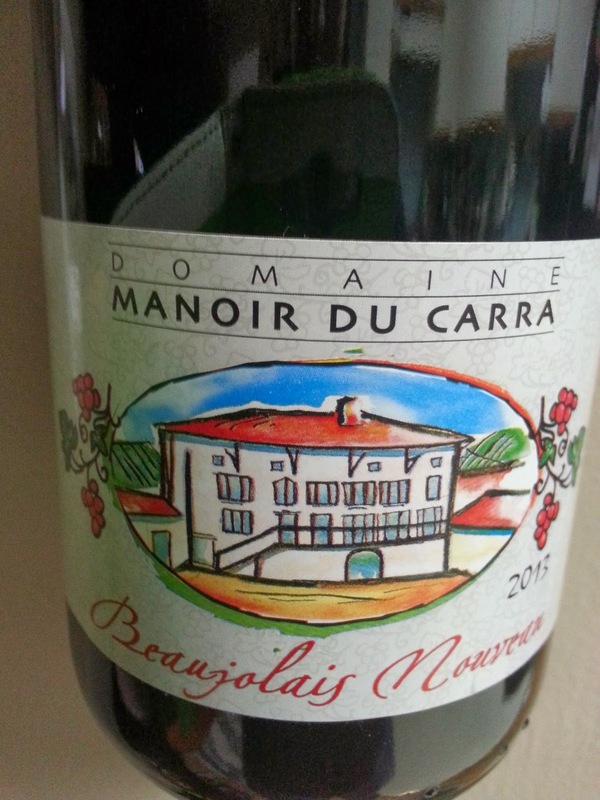 It shows aromas of highly ripe black raspberries and some spicy fennel. On the palate the first thing I noticed was the amazing texture -- it's soft and supple with a medium weight. The flavors of black cherries, cocoa, licorice, and baking spices just explode. The fruit and chocolate flavors linger for a long finish. I had this wine for the first time a few years ago at the Ty Caton tasting room in Sonoma. A while later I saw a three-pack of the 2009 TyTanium pop up on Wine Woot for a steal and just had to have it. I'm so glad I did because this vintage is now selling at $110 a bottle! I've only got one left of my three pack and will have to save it for a few years to see how the wine continues to develop. Food Pairing: Honestly, I just want to drink this by itself. It's beautiful and wonderful and I wouldn't want anything to compete with it. That being said, if I had to have some food, I would love a nice beef pot roast! Bottom Line: I adore this wine. The texture, the flavors. Adore. Late Harvest means just that -- grapes that are harvested "late". The fruit has a chance to raisinate a bit on the vine, allowing the sugars and flavors to concentrate. These wines tend to be sweet and luscious -- great in the cold months, the perfect end to a holiday meal (or just because it's Tuesday and you want something sweet and tasty). Review: This wine has a beautiful dark color, reminiscent of black plums. The nose has notes of (unsurprisingly) raisins, along with cocoa, and prunes. On the palate the fruit is very pronounced, along with a good bit of sweetness and a taste of caramel. Even though the wine is quite sweet, the high acidity keeps the Liquid Love from being cloyingly sweet. It also has a nice boozey zing (17.2%) leading to a great mouth feel. Food Pairing: The caramel note in the wine makes me want a yummy bread pudding! Bottom Line: Quite tasty, interesting flavors, fun name. I dig it. When it comes to California Pinot, wine from the Russian River Valley AVA is probably my top pick. Centrally located within Sonoma County, the Russian River Valley experiences a relatively cool climate making it just perfect for Pinot! Review: The Martin Ray Pinot is fairly fruit forward wine -- lots of red berried and cranberries on the nose, and then more luscious, juicy fruits on the palate. There is also a nice spice to the wine -- just a touch of nutmeg and mace -- along with a very subtle nutty caramel. Even with these secondary characteristics, the fruit in the wine is definitely the star. The red berries linger for a surprisingly long finish. Food Pairing: Definitely a nontraditional pairing choice, but I had this with some leftover Chinese take out (sesame chicken). The sweet sauce really paired nicely with that hint of caramel in the wine! Bottom Line: Very nice Pinot for a very nice price (the low side of "High"). I dig it. I'm a huge fan of wines from Priorat. It's a region in the Northeast of Spain, inside Catalonia most known for its terrior, specifically the dense slate "llicorella" soils. 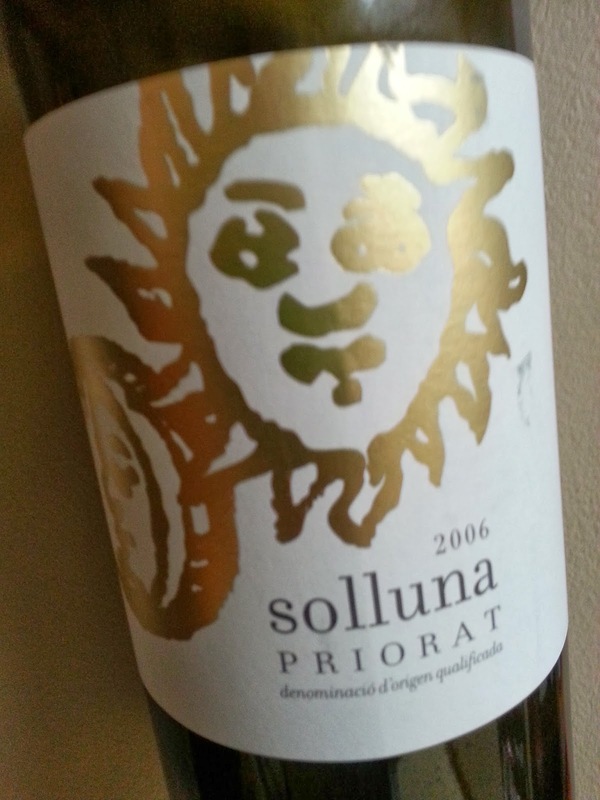 Wines from Priorat are known for their richness, full flavor, and finesse. This wine is a "second label" of the renowned Priorat producer Gran Clos. It's a blend of three grapes: Garnacha (aka, Grenache), Carignan, and Merlot. It is truly delicious. Review: This red wine is dark and unctuous. On the nose it shows dried blackberries and plums with a strong woody barrel note. On the palate it displays soft tannins and more dried fruits, along with the addition of coffee, earth, and just a touch of herbal mint and spicy pepper. The finish is long and lingering. Given the age on this wine (2006) I chose to decant it to allow it to breathe. It was also an opportunity to try to leave some of the sediment in the bottle. Food Pairing: Perfect with rustic Spanish or French foods! Bottom Line: Completely delicious. Great depth of flavor and soft texture. I dig it. CELLAR: Drink now. I think it's done ageing. Oh where, oh where have I been? Between post government shutdown craziness at work and my Unit 2 WSET Diploma exam things have been beyond hectic. I have quite a few beverages in reserve to review, though, because I can assure you that I have not been abstaining. I adore sour beers. The sourer the better. I find them refreshing, interesting, and superbly food friendly. I also adore most everything out of The Bruery. The beers are refined, compelling, and just plain yummy. This Tart of Darkness is a home run for me on all fronts. I've been saving it for cooler weather -- the 2013 vintage was released this summer, but I personally prefer it for the fall! Review: Darkness is right -- this stout pours nearly black with only little bubbles. The nose shows a bit of sour funkiness, but isn't terribly aromatic. On the palate, however, it explodes! Cherries, slightly candied lemons, soft maltiness, and just a hint of super sour vinegar. I love the finish -- the puckering sourness lingers and cleans your palate, especially if you're pairing with something fatty and delicious. So refreshing. Bottom Line: I wish it were available year round! Also, can we take a moment to talk about the name? I dig it. It happened. I turned 30. I suppose it was inevitable. In anticipation of this inescapable truth I bought myself a little something last May when I was on Madeira -- a vintage Verdelho from my birth year. Artur de Barros e Sousa LDA (ABSL) is a teeny tiny producer, the smallest in fact on the island. It's currently run by brothers Artur and Edmundo Olim, fourth generation descendants of the founder Dr. Pedro José Lomelino who began the company in 1890. We visited their facility in Funchal in May and were simply charmed! None of their wines are exported -- making my tourist purchase even more special. I opened this beauty to start breathing a few months ago. It was bottled in 2010 after 27 in a wooden "pipa" and needed some time to stretch its legs and open up. Assuming my cats don't knock over the bottle this wine should last me until I drink every last drop -- Madeira is amazing in that unlike table wine, this fortified wine simply won't spoil after opening. The plan is to have a glass every year on my birthday to see how the wine evolves over time. 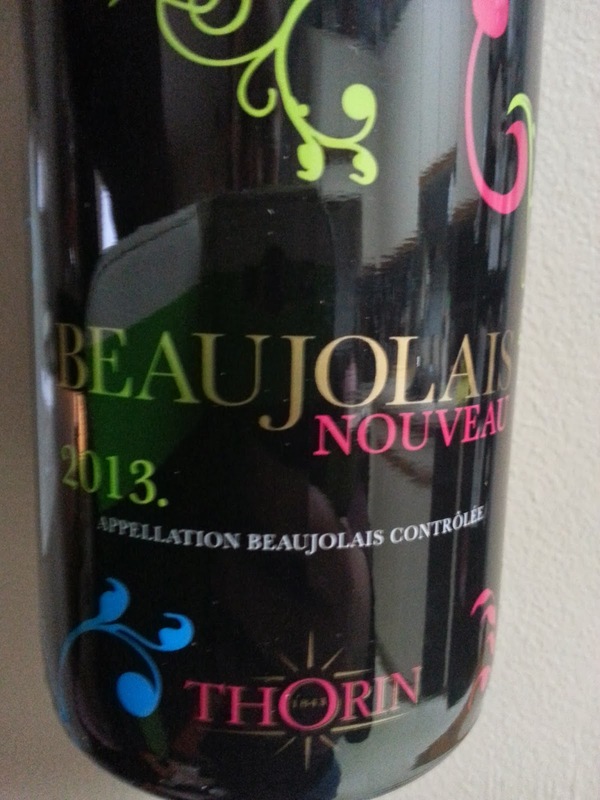 Review: What a pretty wine! It's a soft, pale amber color with medium intense aromas of toasted marcona almonds, golden raisins, and honey. Verdelho Madeiras are vinified in a delicous dry style. On the palate this wine is amazingly bright and lively -- for any wine, not just a 30 year old one. 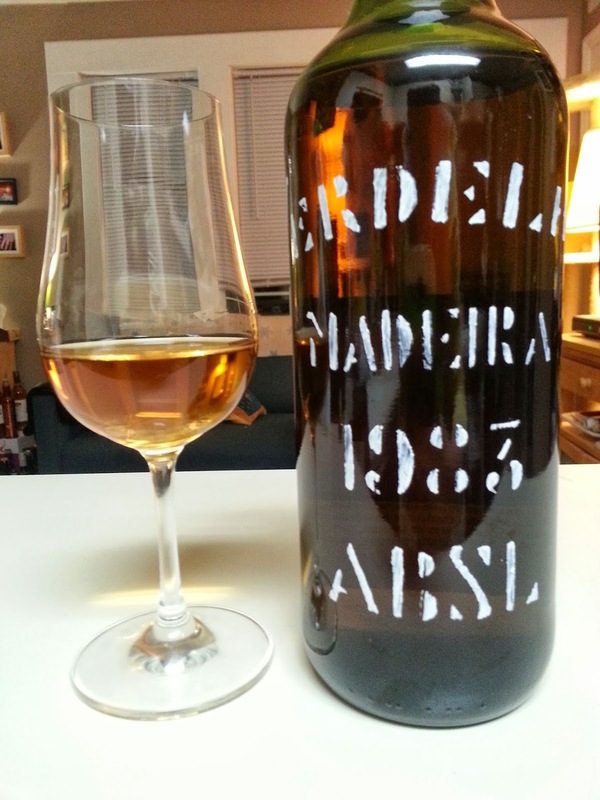 Verdelho Madeiras are vinified in a delicous dry style. The resuts here are more nuts and honey, along with apricots and this amazing touch of vanilla. It is toasty and tasty! The nuttiness lingers for minutes after each sip -- the length is truly spectacular. Food Pairing: I had my sips with a little birthday carrot cake! Yummers. Bottom Line: So happy! I can't wait to see how this wine does next year. CELLAR: I'll be sipping this wine for... as long as there's some in the bottle. This beauty was a gift last Christmas. I've been looking forward to popping it open and I couldn't be happier with what I found inside. Intensely flavorful and just plain delicious! Gewurtz traces its roots to the lands around the current French-German-Swiss-Italian borders. It's know for its pink tinged skins and exotic aromas. The finest examples come from the cool region Alsace, France. This Gewurtz has a "Grand Cru" designation, indicating that it is from a single recognized vineyard site, a single vintage, and made from one of four grapes: Pinot Gris, Muscat, Riesling, and -- of course -- Gewurztraminer! Review: Yummers. This wine is rich and gorgeous! To start, it's that characteristic deep golden color with pronounced aromas of lychee and roses. On the palate I found a nicely balanced, full bodied wine with more lychee fruits, along with some honey and apricots. This wine is definitely on the off-dry to medium-sweet side of the spectrum. This sweetness is combined with a high level of alcohol (13%) and a relatively low level of acidity; the combination could lead to a cloyingly sweet, flabby wine... but it doesn't! This Gewurztraminer retains its freshness and makes for a happy glass. Food Pairing: Asian food is the obvious choice -- some nice spice to play off of the sweetness in the wine! Bottom Line: Just a delight! I dig it. 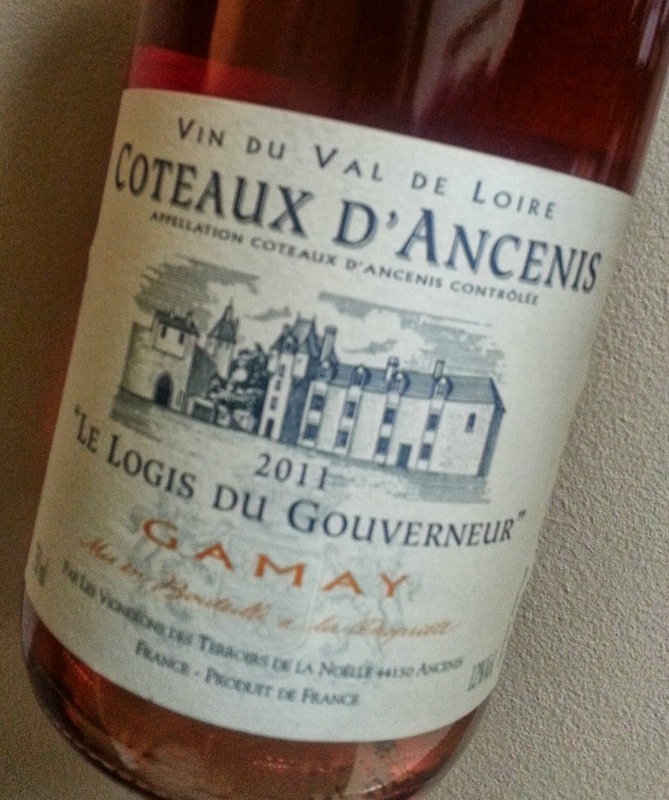 Modest Monday - Wines Under $10: Côteaux d'Ancenis Rosé "Le Logis Du Gouverneur"
Well, fall seems to have fallen. This will likely be the last rosé of the season. I know. Sniff. This is a rosé of Gamay -- the grape most known for Beaujolais. It hails from the obscure Côteaux d'Ancenis Appellation in the Nantais region of the Loire Valley (so obscure it barely gets a mention in The World Atlas of Wine). 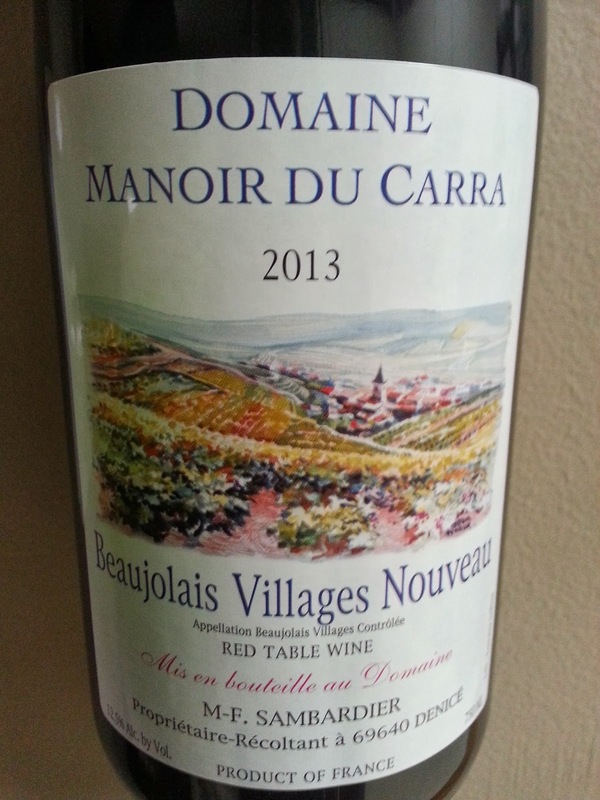 From what I can tell, this Appellation specializes in dry Gamay reds and rosés. After this wine I want to seek out more from this region! Review: Oh my, a wine chalk full of berries! This rosé is a dark pink color, with aromas of fresh summer strawberries. On the palate it's bright and highly refreshing - more berries with just the tiniest touch of leathery animal notes. I was surprised by how full the body is on this wine -- much more so than your average rose. The finish is a little short, and the acidity is a little high, but overall I thought this was a tasty little wine. Food Pairing: Big enough to stand up to pretty much anything. I paired it with a chicken sandwich. Yum. Bottom Line: Nice body, good fruit. Not shabby at all for $8.99. October is Breast Cancer awareness month so I thought I would review a super tasty (pink!) wine that also benefits the cause! Review: This Austrian sparkling Rosé of Pinot Noir is a delight! It's a light salmon pink in color with super soft bubbles. The nose shows aromas of berries and cherries. It's dry (secco!) on the palate with nicely rounded fruit. I love how refreshing and light this wine is. I could drink it all day long. Every day. Bottom Line: So very very yummy. I dig it. Save some tatas! Drink this wine! I have a secret love affair with Grower Champagne. It tends to be a touch harder to find than the big house, Negociant Champagnes, where the producer purchases grapes from a number of different growers. This bubbly from H. Billot Fils is a Propriétaire-Récoltant, meaning that the grower-producer sources all of the fruit from their own property. The idea is that Grower Champagnes allow for more expression of terrior since the grapes are coming from a single location. 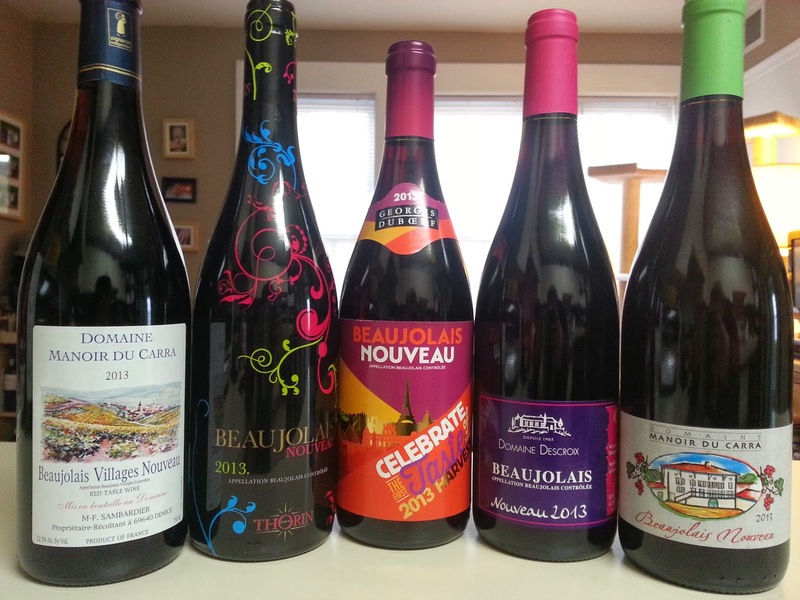 The downside is that the "house style" of these wines may be less consistent, since they do not have the advantage of blending grapes from multiple locations. Which is better, Grower or Negociant? I don't know. But I'll keep drinking until I find out! It's yummy work, but someone has to do it. What else makes this Champagne special? It's from the Grand Cru rated village of Ambonnay. This is one of the best villages within Montage de Reims. This region is known to produce some of the best Pinot Noir in Champagne. Not surprisingly, this blend is Pinot heavy -- 75 percent -- with the balance made up of Chardonnay. Review: The H. Billiot Brut Réserve is a delight. It's a soft straw yellow color with a finely bubbled mousse. It has a lovely bouquet of ripe apples, white peaches and apricots. In addition to the fruit, the wine presents some light toasty notes. The bouquet resonates on palate, with just a hint of sweetness -- a hair past dry -- which trully compliments the flavors. Moreover, this wine has a fantastic, full mouth feel -- there's no word more perfect to describe it than voluptuous. Food Pairing: We drank it with a lightly dressed spinach salad and a cheese plate. Bottom Line: Absolutely delicious. I adore the taste and texture. I dig it. Wow, I haven't reviewed a beer since July! So very shameful, my apologies to you all. Hopefully this amazingly delicious beer will help make amends. This beer has so many facets its hard to know where to start. A few high points: 1) Belgian yeasts, 2) agave nectar, 3) pilsner malt, 4) Bourbon barrel ageing. The result is a soft, slightly sweet, well balanced strong ale. Review: From start to finish I just love this beer. It's a soft golden color in the glass, with a nice aroma of nuts and vanilla. 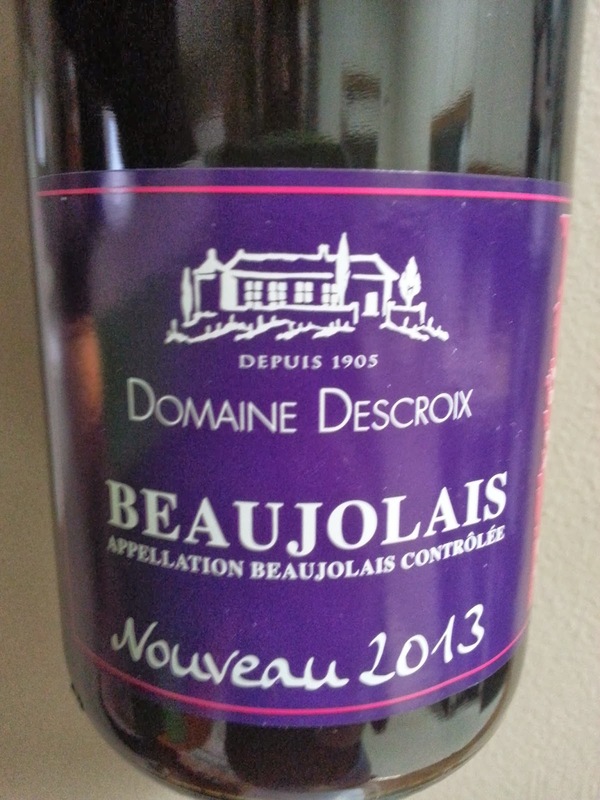 On the palate the Grand Cru is bright with a definite Bourbon note to it, along with a little bit of sweet ripe apples. The pilsner malt still shines despite all of the complexity in this beer, leaving me with a light and fresh impression. The texture and full body of this beer does indeed remind of a Grand Cru Champagne! I would be remiss if I didn't mention the booze. This beer has a higher alcohol content than many wines -- it will truly sneak up on you if you're not watching! Bottom Line: Lovely. Soft. Supple. Full bodied. Yummy. I dig it. Garganega. It just rolls off the tongue, no? Little did you know that it is the 6th most popular Italian grape! Review: Holy Moley! Did someone order up the tropics? The nose on this white blend is all about the pineapples, mangoes, grapefruits, and acacia blossoms. The wine then explodes on my tongue -- but not the way I thought it would. Instead of the intense pineapples I expected, I found loads of citrus! The wine has a lovely light to medium body. The acidity is a little high, giving the wine a delightful zing! Overall, the Scaia Bianco is fresh, fruity, balanced, and refreshing. Food Pairing: Perfect with fishes! Bottom Line: I love the contrast in aromas and taste. Supper yummy. Given my current status as a "non-essential" and furloughed federal employee, I thought to spend even less money for this Modest Monday. I wandered about a Trader Joe's to find the most interesting bottle for under $5. My prize was this Sicilian red for $3.99! 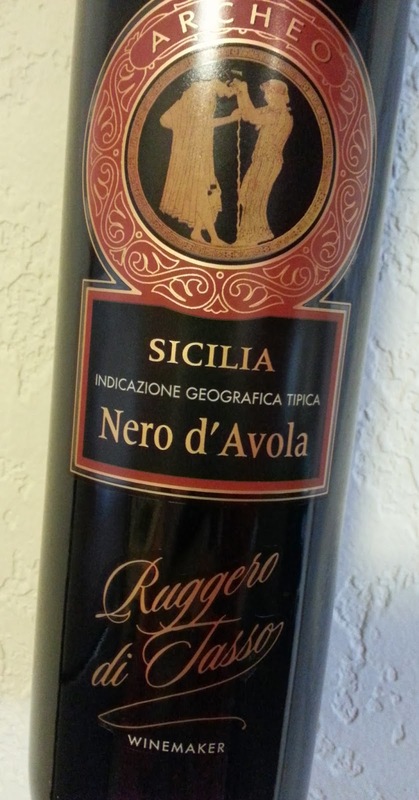 I'm a big fan of Nero d'Avola. It's a native Italian grape and the most planted red on the island of Sicily. Typically the wine will have flavors of delicious dark fruit like blackberries and black currants, along with some spicy pepper and earth. Unfortunately, I should have saved my four bucks and left this one on the shelf. Review: Meh. This wine is bland and watery. There's a hint of fruit and a bit of pepper, but overall this is not yummy. Instead of slightly cooked, reduced fruit and silky tannins there's simply no depth, no body, and no texture. It's very meh. The one plus for this wine is that it's not at all sweet, unlike some others in this price category. Food Pairing: ? I'm stumped, because I don't want to drink this, let alone pair anything with it. Bottom Line: This might could be your second (or third) bottle of the night? When you don't want to drink anything really good? 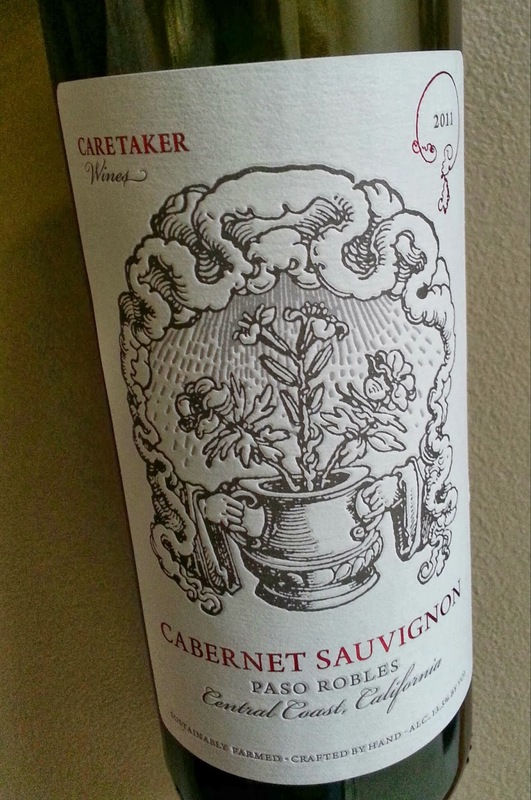 Review: This is a simple, light bodied Cabernet from Paso Robles, California. It has nice aromas of black fruit, which are echoed on the palate -- along with just a touch of anise. The wine has a pleasant texture with only a hint of tannin and moderate acidity. Overall, this is a pleasing and easy drinking wine. I must say I appreciate the sugar level in this wine: a lot of similarly priced reds have a bit of sweetness to them, but the Caretaker is nice and dry! Food Pairing: Great with a burger! Bottom Line: A light and easy Cab, perfect for the end of summertime. Not too shabby for $9. Might you be furloughed on Tuesday? Don't want to spend $70 on a bottle of Brunello di Montalcino? Never fear -- you can have a swig of a Rosso di Montalcino instead! The Tuscan regions of Brunello and Rosso di Montalcino overlap in their entirety. The soils are the same. The climates are the same. The grapes are the same -- Sangiovese! The only difference is the ageing requirement. Instead of the FOUR YEARS Brunello must be aged prior to release, Rosso only needs to spend 12 month in the barrel before its release. It's a baby Brunello! Review: This wine is a beautiful ruby color, with aromas of red plums and sour cherries -- and a hint of violets. On the palate the Pietroso shows fresh, mouth watering fruits with a little black pepper spice and a touch of leather. I adore the texture -- a medium light body with smooth and silky tannins. The flavors linger for a medium long finish. This wine is a great alternative to not only the premium priced Brunello, but also for other Sangiovese based wines like Chianti! Bottom Line: Great flavors, soft tannins, wonderful freshness. I dig it. Tasty and satisfying. In honor of the impending government shut down I decided to open something yummy and bubbly and fun (and affordable!) -- so I can enjoy my weekend before the furlough "vacation" begins. I adore Prosecco. Made from the Gelra grape, these bubbly wines are different in character from Champagne. Rather than going through a secondary fermentation (that's where the bubbles come from) in the bottle, the base still wine is fermented for a second time in a large, closed container where the CO2 produced by the yeast is dissolved into the wine. This technique, known as Charmat, involves is less lees (spent yeast) contact and prevents the wine from taking on the toasty, biscuit notes you would associate with Methode Champenois. Instead, Prosecco is fresh and fruity -- and fantastic. 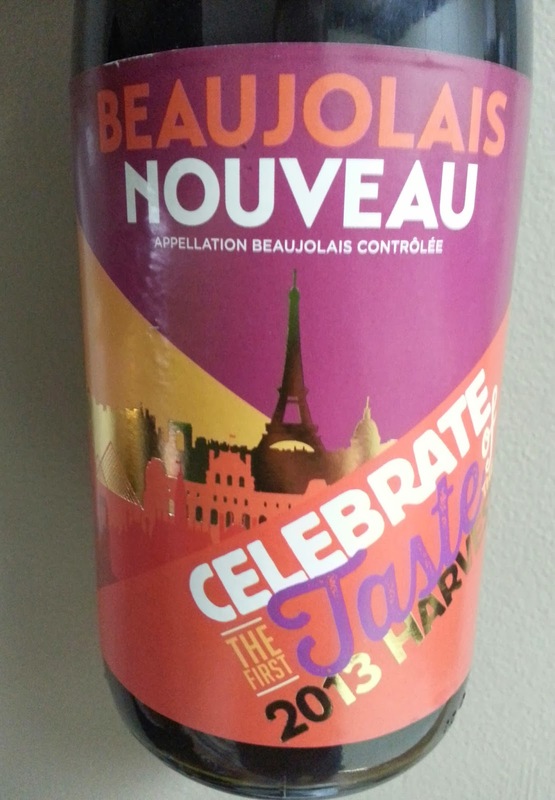 Review: This wine has a lovely straw color and soft bubbly bubbles. On the nose I found aromas of white flowers, green apples, and lemon zest. On the palate the lemons really shine, with just the tiniest touch of toast. The fruit lingers for a moment, and makes me reach for another sip. The Marsuret Prosecco is "extra dry" - implying it is a hint sweeter than Brut. In total, it has it has about 15 grams per liter RS! The high acidity and freshness of this wine prevents the sweetness from taking over the flavor profile. Instead, you're left with a fresh and balanced -- and perceived dry -- wine. Food Pairing: Wonderful as an aperitif. Great with dessert. A perfect pair to any meal in between. Bottom Line: Light and easy. Great flavors. Good value. I dig it. Torrontés is Argentina's flagship white grape. It's aromatic and fun -- the perfect wine to close out summertime. This is the second wine I've had recently from this producer -- you can check out their Reserve Malbec here. I have to say I've just loved both of these wines. Delicious! 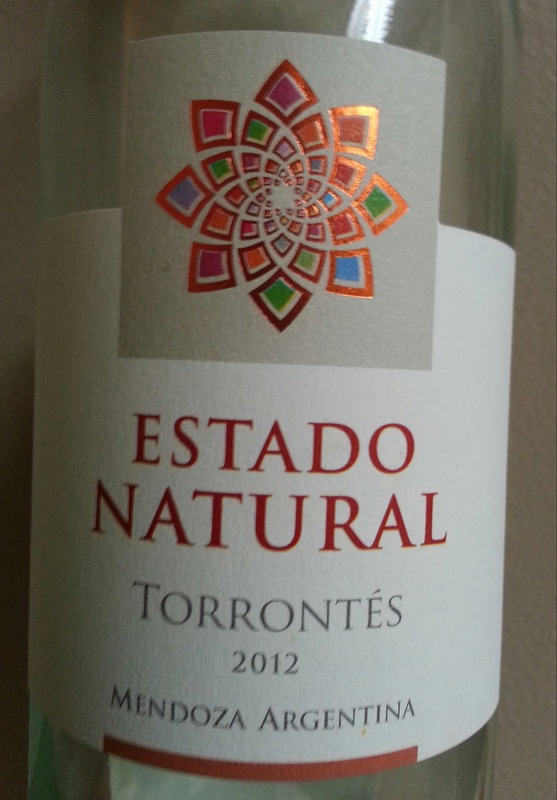 Review: This wine is light lemon in color, with beautiful aromas of white flowers and citrus. It's dry on the palate with flavors of tart lemon pulp and candied lemon rind -- with a hint of minerals and flowers! The finish is pretty short -- no lingering flavors -- it simply leaves you feeling refreshed. Bottom Line: I enjoyed this wine quite a bit. It's light and fresh and just plain yummy. This weekend I went through my whole wine collection -- cataloging and organizing -- and I found something unexpected! I've been holding onto this Sancerre for years, thinking it was high-end. It turns out I bought it at the Joe for $9.99. Time to pop this puppy open! Review: This Sauvignon Blanc is light and easy. On the nose I get aromas of lemon zest, herbs and a hint of gooseberries. It's dry on the palate with flavors of citrus and herbs. It's not overly grassy -- just a touch. The acidity is a little high, but not too out of balance. The wine has a light body and super short finish. I wish there was some minerality and some more fruit... Really, I just want more overall. More flavor. More intensity. This is definitely a watered down Sancerre. Even though I find it lacking, if I were hunting for a super simple and not too grassy Sauvignon Blanc this would fit the bill. Food Pairing: To be honest, I paired this with a bowl of cereal. But for an actual meal this would be great with an omelet or frittata. Bottom Line: Definitely not the most expressive Sancerre on the planet, but it'll do. If I could drink French Champagne every day I absolutely would. This quality bubbly for under $35 is a great place to start -- clearly not viable for every day, but still get's me a few steps closer to the dream. Review: The Charles de Cazanove is a gorgeous golden color with teeny tiny bubbles. It has lovely aromas biscuits and white flowers. On the palate the bubbles simply come alive. The wine is dry and frisky with notes of toast and stone fruit. It the finish the yeasty character lingers making me reach for another sip. Delicious and refreshing! This wine hails from Reims and is a blend of the three Champagne grapes: Pinot Noir, Pinot Meunier, and Chardonnay. The blending of these grapes produces the Charles de Cazanove "Tete de Cuvee". Food Pairing: I'm sure this would be great for fine dining, but I paired it with a cheeseburger. It was spectacular. Bottom Line: Yummy and affordable. Sold!